Cadiz bay is considered a crucial point in the so called “Costa de la Luz” and almost in its centre is Gran Hotel Ciudad del Sur**** , no doubt is one of the most attractive destinations in our country. It has the necessary charms to be an important element in the decision of making a choice of a place to stay during the holidays. Cadiz Bay intends a projection to a near future as a touristic destination in order to offer its excellences and elements that make it unique and exclusive. 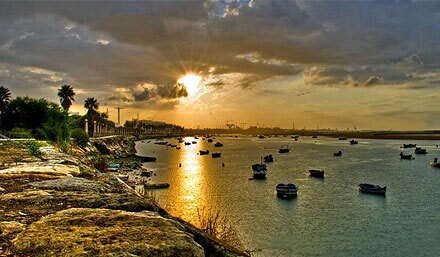 Near to the seaside, there are many beaches with fine sand and good climate. The nice and charming little villages surrounding the cities of the bay together with the excellent Cuisine make Cadiz Bay an idyllic place to be on holidays, escapes, business travels and celebrations. The old part of the city and its monuments are declared as Historic-artistic site. The Seaside, EL Porvenir Gardens, The Central Market, The Natural Park Bahia de Cadiz, Rio San Pedro beach, La Cachucha beach. La Algaida Pine Forest and Las Canteras. Marshlands, Salt Lakes, all these attractions are in Puerto Real. It is called La Tacita de Plata, and it has plenty of history and charm, it offers many attractions to visit. 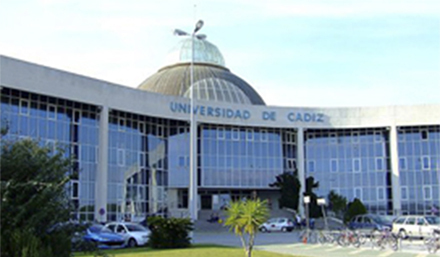 Cadiz is the city where the Spanish constitution of 1812 was founded. This piece of land, taken from the sea, is also known because of its Carnival, its monumental richness and also because it has wonderful beaches with fine sand and finally it is known because of its gastronomy. It is known as the cradle of the Flamenco and Motor city . 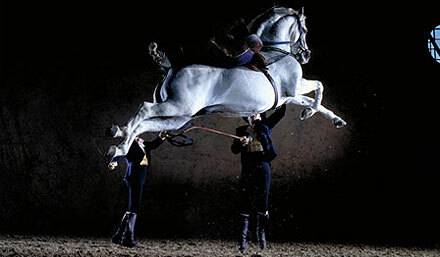 Its wine (el Jerez or Sherry), the Cartujan Horse, The bull , The Show “How the Andalusian Horses dance”, and its Historic and Monumental centre of town declared as artistic and historic site interest , all these attractions are found in Jerez. 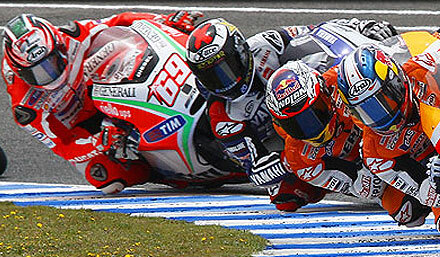 Jerez also is known because of its Feria and its autumn celebrations. All make Jerez to be a magical and incomparable city . 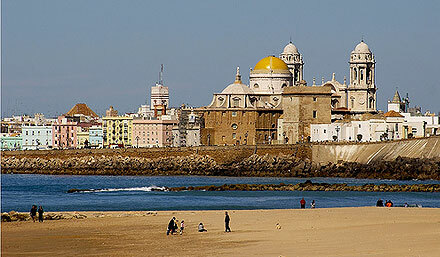 City with whitewashed walls, historic and monumental city, it is extended through Pine forests, beaches and marshlands in the centre of the Cadiz Bay. Marina, Golf courses and no doubt a good night life to enjoy this beautiful city. Sanlucar de Barrameda, Chipiona, Rota , Conil and Vejer – 30 minutes. 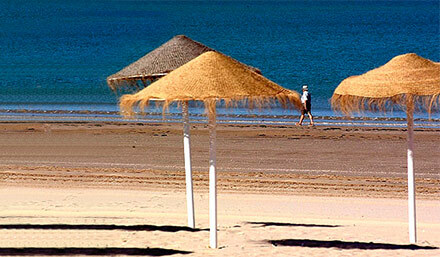 Tarifa and Zahara with idyllic beaches and Baelo Claudia (Roman ruins) and whale watch one hour.